Talley is using Smore newsletters to spread the word online. Founded in Faith. Forged in Excellence. 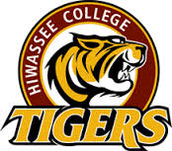 Hiwassee College is a "Four Year Liberal Arts College." We are surrounded by the Appalachian Mountains, in Madisonville, TN. We are Inspired to become more, to achieve greatness, and to fulfill dreams. At Hiwassee College, you will experience real life, authentic community, and adventure around every corner. Here, you will discover a college that values education, excellence, individuality, authenticity, faith, and relationships. 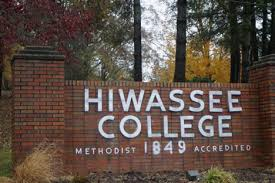 Hiwassee College is a place where learning comes in the classroom, but more importantly it comes from real-world experience. You may be surprised how little you see the desk in front of you. Learning is more than hands-on. It’s real life. We believe in community here. This is a place where you will find lifetime relationships not only with your peers, but even your instructors. Many of our students and professors have similar goals, beliefs, and hobbies, creating friendships that go beyond the classroom. With every corner you turn, you will find adventure. Athletics your thing? We’ve got almost every sport available and are always looking for talented new athletes. More the outdoorsy type? Here, you may find yourself rafting down a river of rapids, hiking a challenging trail, or simply taking in the majesty of the beautiful countryside.